Activities in Swarthmore, Wallingford & Media this weekend, November 30th- December 2nd! Swarthmore Town Center’s schedule for Home for the Holidays! Please be sure to check out this week’s issue of The Swarthmorean newspaper for more activities as well as a write-up on the young women residing at the ABC House and great news about Wilson Oil’s propane tank proposal being withdrawn in the face of plentiful local opposition! “Dr. Doolittle” 2pm & 7pm at Media Theatre! Philadelphia Sportscaster Bill Vargus plays the title role in this play about play based on the Hugh Lofting stories about a vet who learns to talk to animals! Visit www.mediatheatre.org for tickets! Holiday Greens Sale at Scott Arboretum 10am-2pm Enjoy the scents of the season for free or purchase wreaths and greens to bring home! Wister Center at Swarthmore College. Swarthmore Home for the Holidays celebration! 3pm-8pm! See image for a detailed schedule! Swarthmore College Orchestra 7:30pm Free at Lang Concert Hall at Swarthmore College – enjoy the works of Brahms, Stravinsky and even Ben Kapilow (Swarthmore Class of ’13)! Holiday Bazaar at Ohev Shalom 9am-2pm Local small businesses sell jewelry, pottery, gifts and toys! Lunch at the Pay-Cafe. Congregation Ohev Shalom, 2 Chester Rd, Wallingford. 610.874.1465 or email giftshop@ohev.net. Activities in Swarthmore, Wallingford & Media this weekend, November 23rd- 25th! 315 Dickinson Avenue will be open this Sunday from 1-3pm! Please be sure to check out this week’s issue of The Swarthmorean newspaper for more activities as well as a write-up on our local hardware store and its proprietor Charlie Devaney! There is also a wonderful letter to the editor from Stephanie Harper and Joyce Eisenberg about Anabelle’s Wish, a cause that is dear to our town. Visit www.anabelleswish.org for more information and to shop for holiday gifts with heart! “The Crucifer of Blood“ at Hedgerow Theatre! This Tony-award winning script by Paul Giovanni stars Sherlock Holmes! Tickets are $25-$32. Call 610.565.4211 or visit www.hedgerowtheatre.org for more info! “A Perfect Ganesh” 8pm at Second Stage at the Players Club! Swarthmore’s own George Mulford directs Terrence McNally’s story of two lady tourists guided by an elephant-headed Indian god on a vacation without their husbands. (Not a play for children!) Tickets are $10 at the door. Call 610.328.4270 or visit www.pcstheater.org for more info! “Cinderella’s Princesses and Wizards Costume Party” 11am at Hedgerow! Cooperation is the theme of this production! Tickets are 11am $11 for grown-ups, $9 for kids! Call 610.565.4211 or visit www.hedgerowtheatre.org for more info! 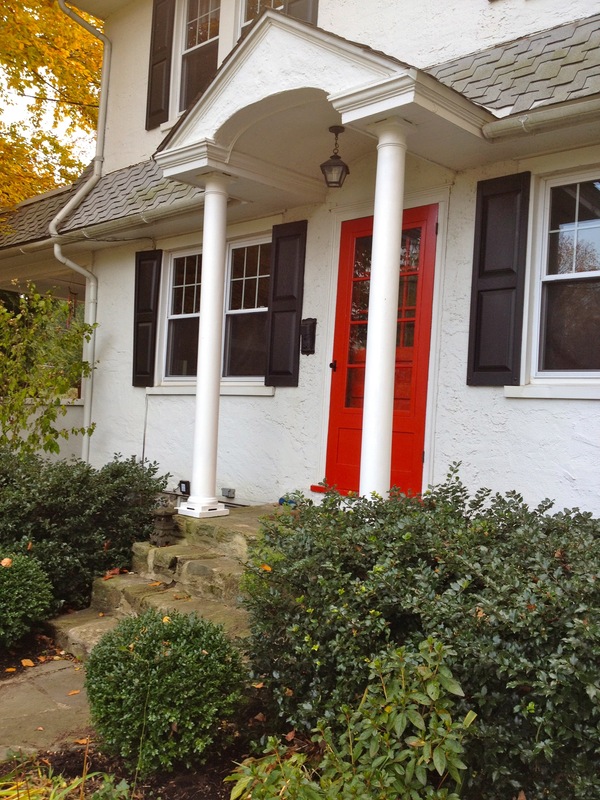 Open House at 315 Dickinson Avenue in Swarthmore! (See this week’s intro photo!) This 3BR, 2BA home has been the subject of a through renovation and is ready for you to move right in! Come out and let our own Mimi Muhlenberg introduce you to the open floor plan, hardwood floors, updated kitchen, C/A and more! As always, if you aren’t working with a Realtor already I would be honored to offer you a private tour at your convenience! New Swarthmore listing contest – Clue #3! As you know, I’m very excited about my upcoming listing! Here is your third clue! And remember, I am buying a one-year subscription (or extension) to the Swarthmorean for the first person to guess the address! But home is where the fireplace is! And here’s a photo of the red door I mentioned in Clue #2! Happy guessing! Activities in Swarthmore, Wallingford & Media this weekend, November 16th- 18th! Rose Valley Chorus & Orchestra present Strauss’s Fledermaus, a comic opera with a love triangle, mistaken identity & revenge! Please be sure to check out this week’s issue of The Swarthmorean newspaper for more activities as well as a write-up on my favorite local store, Finlandia, and lovable owner, Lela Kevorkian! Her partial list of inventory had me drooling (think handmade scarves and bags, cozy Dansko clogs, and gorgeous china from all over the world)! “A Perfect Ganesh” 8pm at Second Stage at the Players Club! Swarthmore’s own George Mulford directs Terrence McNally‘s story of two lady tourists guided by an elephant-headed Indian god on a vacation without their husbands. (Not a play for children!) Tickets are $10 at the door. Call 610.328.4270 or visit www.pcstheater.org for more info! “Fledermaus” Comic Opera presented by Rose Valley Chorus & Opera at Strath Haven Middle School 2pm & 8pm. Enjoy a comic love triangle complete with revenge and accompanied by a full orchestra! Tickets $20 for adults, age 60+ and students $17, age 12 and under $7! Visit www.rvco.org for more info! “Who Was that Lady I Saw You With?” 7:30pm at Strath Haven High School performed by students! Tickets: $10 for adults, $5 for students and kids! Swarthmore College Chorus & Chester Children’s Chorus 7:30pm John Alston directs college chorus and children’s chorus in Mozart’s Requiem! FREE! 610.328.8286 for more info or visit www.swarthmore.edu/Humanities/music/ccc! New Swarthmore listing contest – Clue #2! For any of you who were paying attention – I rather suddenly stopped dropping hints about this listing as we weathered a storm and a presidential election! Now I’m ready to whet your appetite for real estate trivia again! Here is your second clue! And remember, I am buying a one-year subscription (or extension) to the Swarthmorean for the first person to guess the address! To see the warmest heart pine floor! And from the train, a three block walk! The biggest impression I have from this week is one of absolute wonder at how many homes are available in Swarthmore Borough right now in the $250,000 to $350,000 range! What a time to buy! This is a range where inventory is typically very scarce. Some of them are remarkably spacious (Candy Brosnan’s listing on Drew Ave is a great example) and some are just so darned CHEAP (see Lee Greenwood’s Haverford Place listing and Carl Adams’s listing on Yale Square)! When I contrast that with the properties in Media Borough (like Alan Warfield’s charming but tired fixer on Edgmont) it is stunning to see that in Winter of 2012 you can get a LOT more house for your money in Swarthmore than in Media! The exception of course, being that the homes in the range in Swarthmore are generally sensible splits and capes – not the delicious little colonials in the heart of town that we all dream of! 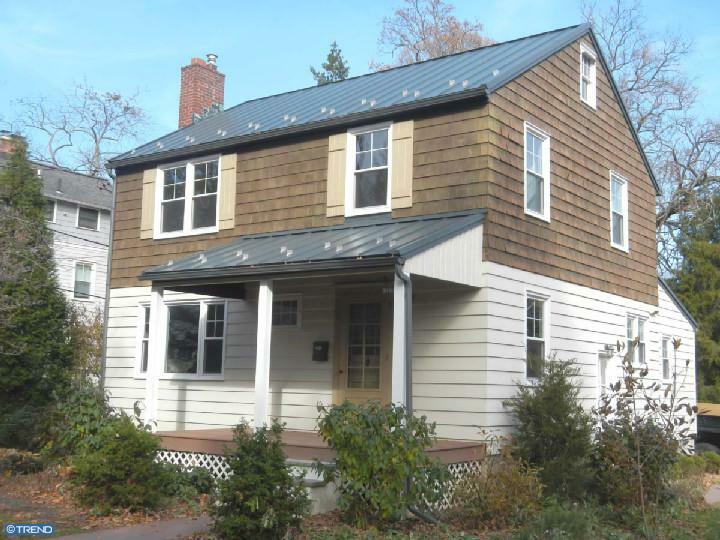 I’m paying attention because I’m working on a new listing in Swarthmore that will likely fall in this range and I’m excited that it IS a darling 1920s colonial in a great location! Check in here and here for clues as to the location! And, as always, if you are searching for a home in town – no matter the price range – and you aren’t working with a Realtor, please don’t hesitate to reach out!